TileMill has been out for about a year, but Windows users have had to run it on a Virtual Machine. Until now! We’re excited to bring you TileMill 0.9.0. The latest release of our map design studio adds native Windows support, a new plugin system, and key core improvements. Whether you’ve been meaning to try TileMill or are a longtime user, expect a more powerful, accessible map design experience starting today. 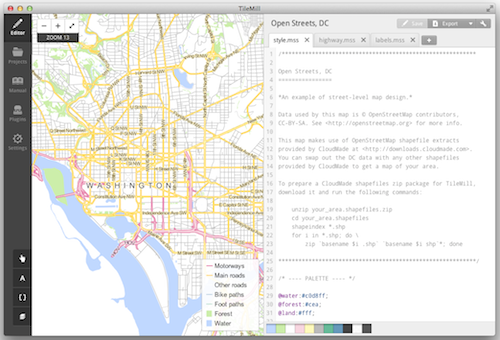 And even more cool stuff from Development Seed, MapBox for iPad 1.8 is out.